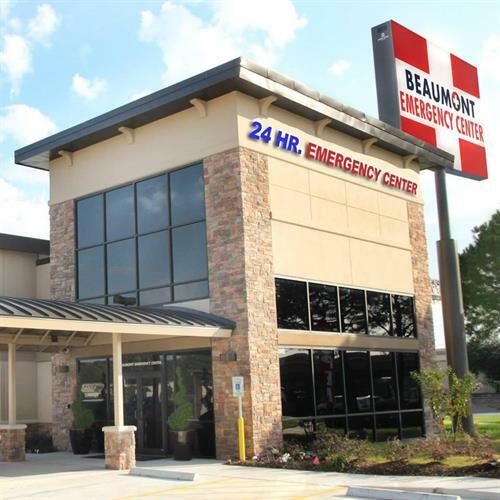 Beaumont Emergency Center is a freestanding, full-service Emergency Center open 24/7 to treat all of your emergencies without the wait. We serve Beaumont, Nederland, Groves, Port Arthur and surrounding areas in Southeast Texas. Our philosophy is to go above and beyond the standard of emergency care. Our facility offers a clean, safe and friendly environment in which to care for all of your urgent and emergent medical needs. Patients at Beaumont Emergency Center receive exceptional service provided by dedicated emergency medical professionals in a prompt manner. Our goal is to provide personalized care without the wait experienced at hospital-based emergency rooms. Most importantly, our board-certified emergency physicians are committed to providing you, and all our patients, with the highest level of care. We are able to care for all your life’s medical urgencies and emergencies. Most private insurance accepted. We do not currently accept Medicare, Medicaid or Tricare. College St. at I-10 - Exit College Street going either direction. Located on the northwest corner next to Hooter's.